1. If My Only Income Is From Social Security Disability Benefits Do I Have to File a Tax Return? 2. Are VA Survivor Benefits Taxable? As a veteran, you sacrificed years of your life in service to your country. By doing that, you’re promised certain perks after retirement. Although there may be a veteran tax credit or two, especially when it comes to paying state taxes, you’ll still be required to file a tax return as long as your earned income exceeds the maximum you can make without paying taxes. If you’re receiving VA benefits, though, you won’t have to claim those benefits as long as they qualify as untaxable income. If you receive a military pension based on your years of military service, that payment is considered taxable income. That means you’ll need to include that income with the earnings you claim on your taxes each year. You will receive a Form 1099-R from the federal government at the beginning of the year and you’ll use that to report your income on Form 1040. But if you’re receiving benefits, that amount is excluded from taxable income for the tax year. These include disability compensation, education and benefits you receive under some type of dependent-care program. Before you retire from service, you’ll provide Form W-4P, which tells the military how much to withhold from each paycheck so that you don’t find that you owe a sizable chunk of change in April. At this point, you can determine whether any VA disability is taxable and discover any other benefits you’ll be receiving upon retirement. Maybe your VA disability isn’t taxable when it goes directly into your own bank account, but what if the recipient is a spouse or other relative? 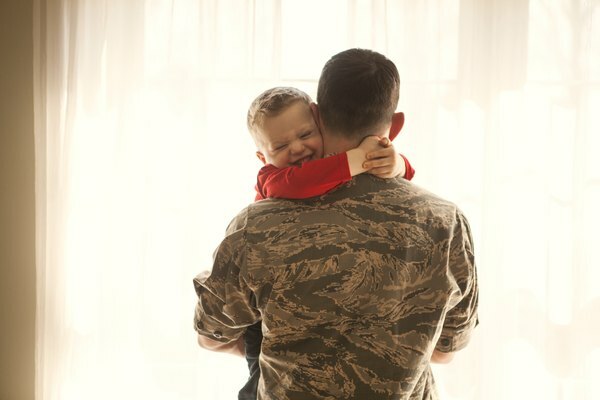 Your spouse and other qualifying family members will also enjoy the perks of being attached to the military, including education and training, without owing taxes on those benefits. But if you’re earning a pension, you may wonder what happens to that money if your spouse outlives you. Unfortunately, your military pension is attached to you, which means when you’re gone, it’s gone, as well. To help military members protect their loved ones, the Survivor Benefit Plan is provided as a separate insurance policy. This plan issues a monthly payment to your survivors to make up for the retirement income no longer coming in once you’re gone. Basic SBP is already in place and kicks in automatically upon your death, but the highest benefit your spouse will get is 55 percent of your retirement pay. Your spouse will have to pay income taxes based on the rules that applied to the benefits when you were taking them. Since 2015, Veterans Affairs has offered free tax preparation service to veterans and their families. Not only does this save you money, but it also connects you with professionals who have been specially trained to prepare tax returns for veterans and active duty military. You can get this service either online or in person. If you’re on or near a base, you can usually find this assistance there, but it’s also available at various community centers through the Volunteer Income Tax Assistance program. If you prefer to stay home and take advantage of this service, you can do that through the IRS’s FreeFile program, as long as you make $66,000 per year or less. For those who exceed that income maximum, there are still free fillable forms available. Or you can use a solution called Military OneSource MilTax, which is free e-filing software offered by the Department of Defense. This software walks you through the questions you need, as other tax software programs do, but this particular solution is designed specifically for the unique needs of military personnel. Lastly, those who have pay grades of E1-E5 can get TurboTax Military Edition for free, and discounts are available for those at E6 and above. The IRS isn’t the only government entity recognizing your service. You may be eligible for a veteran tax credit or two locally, especially if you’re disabled as a result of your time in the military. One of the most popular benefits to veterans is the local real estate waiver, available in almost every U.S. jurisdiction. Depending on your location, you may be able to simply apply one time and enjoy the benefits as long as you live there. In some areas, though, you’ll have to renew the waiver annually. This benefit could save you thousands of dollars each year. The rules for the exemption vary from one area to the next, but in California, for instance, your time in the military will qualify you for an exemption on the first $196,262 of the assessed value of your property, as long as your household income is $40,000 or less and you’re 100 percent disabled. In Connecticut, you’ll only need to have served at least 90 days of active duty during wartime and have been honorably discharged to receive a $1,500 property tax exemption. Although you won’t find your VA disability taxable, if you receive VA retirement benefits, you’ll have to pay taxes on those. VA retirement pay is considered taxable income, unlike VA benefits, which means it’s taxed as ordinary income. But for Social Security taxes, your retirement benefits don’t apply, which means you won’t see that FICA deduction on your retirement check. You should, however, check to see if you qualify for a veteran tax credit on your property taxes or other state and local filings. You may be able to recoup some of the taxes you pay to the federal government that way. Disability changes things, though. If your retirement pay is for personal injury or sickness received as a result of your military duty, that money won’t be considered as taxable income in some circumstances. If, for instance, your disability payments are for an injury you received in combat, the retirement disability payments you receive won’t be considered taxable income. If your disability is connected to service, it’s important to check into all of the tax benefits available to you. If you continue to work after retiring from the military, it’s important to watch your earnings. This is especially true if you’re concerned about federal tax on military retirement. Your new employer and the military accountants will treat your first $24,000 in earnings as tax-free, as long as you plan to claim married filing jointly status. But one of those two sources should withhold taxes on that $24,000, preferably at a tax bracket of at least 22 percent. By withholding this, you won’t owe as much at tax time. Perhaps the biggest change you’ll see under the 2018 tax laws, though, is the inability to claim miscellaneous itemized deductions. The standard deduction has been increased to $12,000 per person, or $24,000 if you’re filing as a couple, so this will make up for the loss. But if you’ve been holding on to receipts for all that job hunting you’re doing, you probably will end up not even using them when it comes time to file. If you’re still filing taxes for 2017, you’ll still have the ability to claim those miscellaneous deductions, which will help cut down on the federal tax on military retirement you pay. Items like moving and job search expenses can make a big difference, especially since the standard deduction in 2017 was only $6,350 for individuals and $12,700 for couples. Does an IRA Lower Income? Are You Penalized for Not Having Federal Taxes Withheld for Unemployment Benefits? Can a Roth IRA Be Closed at Any Time?